Mothers day falls on Sunday May 9th this year, so why not do something different for your mother. Instead of the boring card, why not give her an edible arrangement? Or cook her a Sunday brunch. Does your mother love a good cocktail? WHy not whip her up a few of these delicious mother inspired cocktails. Rub a wedge of lemon around the rim of a martini glass and dip the glass into a plate of coarse sugar. Set it aside. Pour the remaining ingredients into a cocktail shaker with ice. Shake and strain into the garnish martini glass. Drop a cherry in the drink for a garnish. or if your mom isn't a hard alcohol drinker, why not stick with the classic mimosa. Anything you do for your mother is sure to garnish her love, so have fun and don't be afraid to try new things. Its a holiday all for moms so why not make her feel special! Many alcoholic drink recipes have been suggested throughout Wazzupolitan's posts, but what if our readers do not wish to drink an alcoholic beverage? Or what do you do when people drink too much? As a blog offering many drink recipes, Wazzupolitan decided it's a great idea to make a post about how to be a responsible bartender. It is very important that you keep your company safe while making drinks. Numerous stories have been heard about drinking and driving, and even stories about overdrinking. As a bartender, or even party host, you are responsible for how much your guests consume. First, always keep a great supply of non-alcoholic drinks available for your company. These are provided for those who are the designated drivers, or those who just prefer to not drink. Many virgin drinks can be offered as well so those do not feel singled out. Sodas and punch are a great idea for serving to your party. Also, if a guest asks for a drink with light alcohol, make sure you comply. You are responsible for their safety and it does not do you any good by supplying them with an overly loaded alcoholic beverage. Besides, do you really want to clean up after them when they are sick in your own house? If you want to avoid the mess, avoid loading their drink with alcohol. A great idea is to offer plenty of food with your drinks. When having a party, get-together, or simple friends date, offer a selection of chips, breads, and appetizers. Although most individuals should be responsible for avoiding getting overly drunk, it is not completely possible for some. By offering food, your guests can have a great filler, with plenty of laughs. Breads and chips will coat the stomach for those who forgot to eat before arriving... or even those who just love to eat. Who doesn't like to have some appetizers while having a cocktail? One thing that is hard to do for college towns is avoid the parties whose main purpose is to get drunk. Do not throw a party that is all about the booze. This is highly unsafe, and could lead to many unknown guests showing up who are under your responsibility. The safety of your guests is your responsiblity and Wazzupolitan cannot stress that enough. If anything happens to your guests as they leave your party pad, you are responsible. 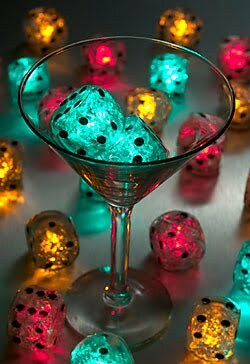 Throw a party with friends and fun and drinks, and don't focus mainly on the amount of alcohol. You want your guests to have a good time, not drink the night away and forget it the next day. Offer board games and cards, tv and music, and plenty of friends and laughs. Lastly, if any children are present, which is probably unlikely for college parties and get-togethers at Washington State University, but make sure the alcohol is safely away from children. Keep the cabinet locked, or keep the alcohol up high. Children and pets as well get into everything close to the ground. When having pets, act as if they are children, keep the booze up high. Alcohol is very toxic to pets and will quickly end your companion's life. So be responsible with children and pets. Having a successful party is extremely fun. But if your party leads to dangerous drinking and driving, or even those drinking to excess, it can quickly leave a great party in ruins. So be responsible when serving alcohol to your guests. Remember-you are in charge of their safety, and also in charge of their fun. Make it a great night by being a responsible bartender! When celebrating Cinco de Mayo, one can often feel very overwhelmed if they are the party planner. Here are some tips to stay on track and keep the good times rollin this 5th of may. Instead of going all out on array of different liquors or even spending a boat load on expensive tequila, trying limiting yourself to two or three liquors and look for the less known tequilas. This way you stay more authentic and you don't have to buy as many mixers to accompany your liquors. Also try sticking to two beers and adding soda, juices, and water to your beverage choices. This way everyone is happy. When it comes to food, try creating a taco bar with different meats and ingredients such as salsa, guacamole, and cheese. This gives you a more laid back atmosphere as well as allows your guests to tailor their food to their own liking. You should also try to choose music that fits with the theme of Cinco de Mayo. So incorporating upbeat music as well as mariachi sounds is a good idea. Create a playlist that also fits your personality too. Selecting artists such as Shakira, Paula Rubio, Enrique Iglesias or Carlos Santana are a few mainstream options for music selection. All in all Cinco de Mayo is a celebration so make it one. Have fun and your guests will to. Try not to overdo things and micro manage too much. Things are bound to go wrong, but if you keep a positive attitude your party will end up a hit. Here are some alcohol related facts to take into consideration the next time you are out drinking. • Alcohol-impaired driving is the most frequently committed violent crime in the U.S. I'm sure at one point someone we know or even ourselves has been effected by alcohol one way or another. If you or someone needs help there are many places to go to find help such as AA meetings or even rehab centers. There are people out there willing to take the time to save your life and they do care. Know that you have options. With all this talk of drinking and things to attend on graduation night. It is important to keep in mind the consequences of our actions. Drinking in excess can land you in the drunk tank or even worse the hospital, while choosing to sit behind the wheel can have even worse consequences. "Every year, over 11,000 real live people die in drunk driving crashes"-MADD website so lets make smart decisions when we choose to drink. Its ok to have, it becomes a problem when you make decisions that effect not only your life but those around you. April means watermelon and springtime! 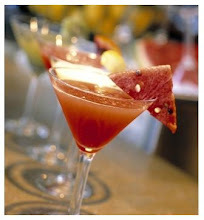 Enjoy the month with a Watermelon Martini. Pour watermelon juice, vodka, simple syrup and lime juice in a cocktail shaker. Shake well. Strain into martini glass. Mix together salt and sugar, wet rim of glass and dip the top of the glass into the mixture. Garnish with watermelon slices. Enjoy! This recipe was found at www.about.com. Check out our drink of the week recipes as well.